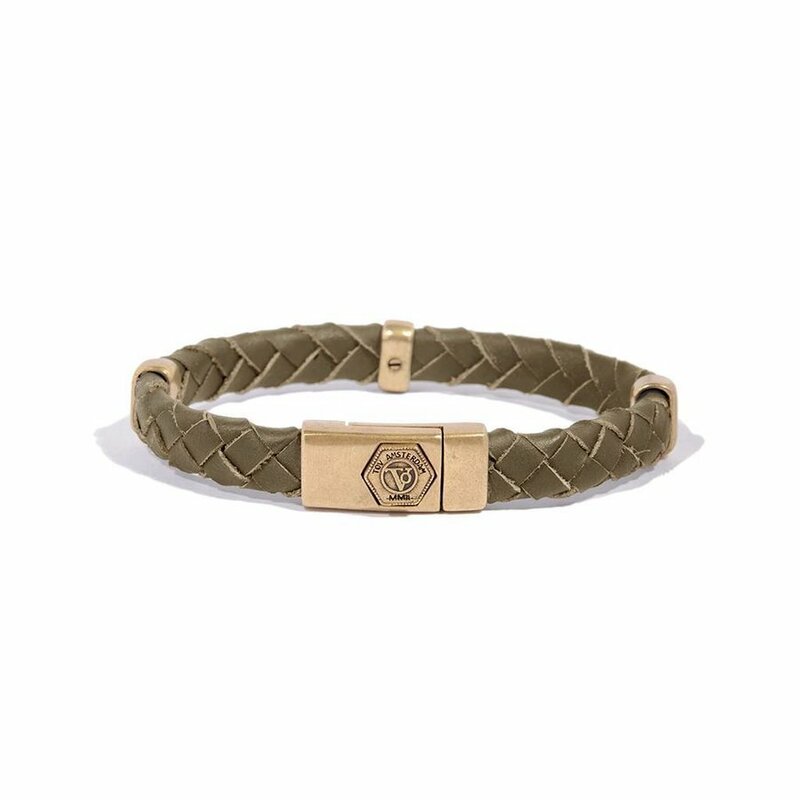 This bracelet is a tasteful combination of hand braided calfskin of approx. 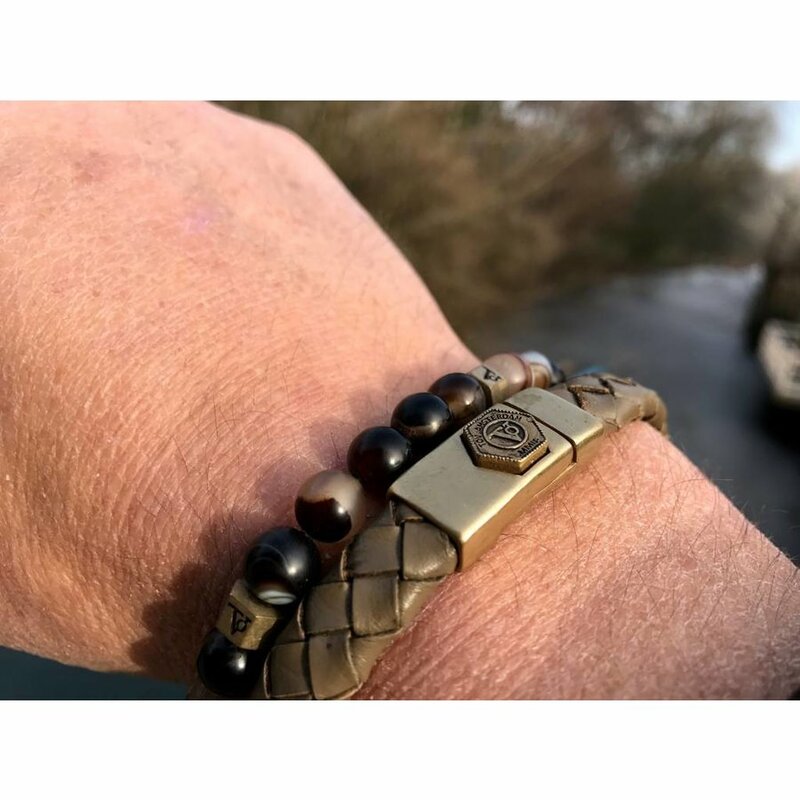 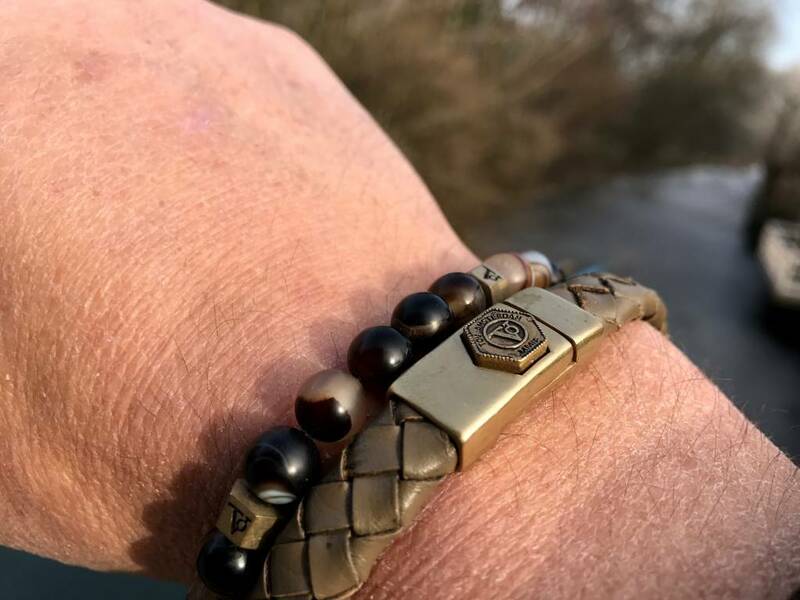 1 cm wide and a great lock system, where the four magnets make the bracelet very easy to put on and off, as well as that it is impossible to lose. 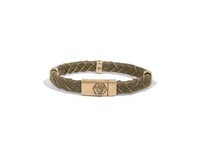 The Hexagon on the lock states the industrial inspiration of the design. 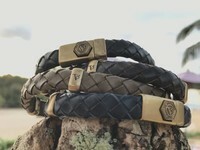 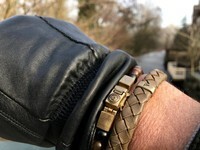 You can wear the bracelet with the lock on top of your wrist or the bottom up which gives you only the leather strap. The leather is subtly decorated with three 'Silver loops' the middle one embossed with the TOV monogram. 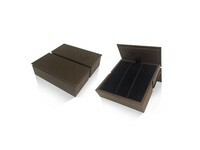 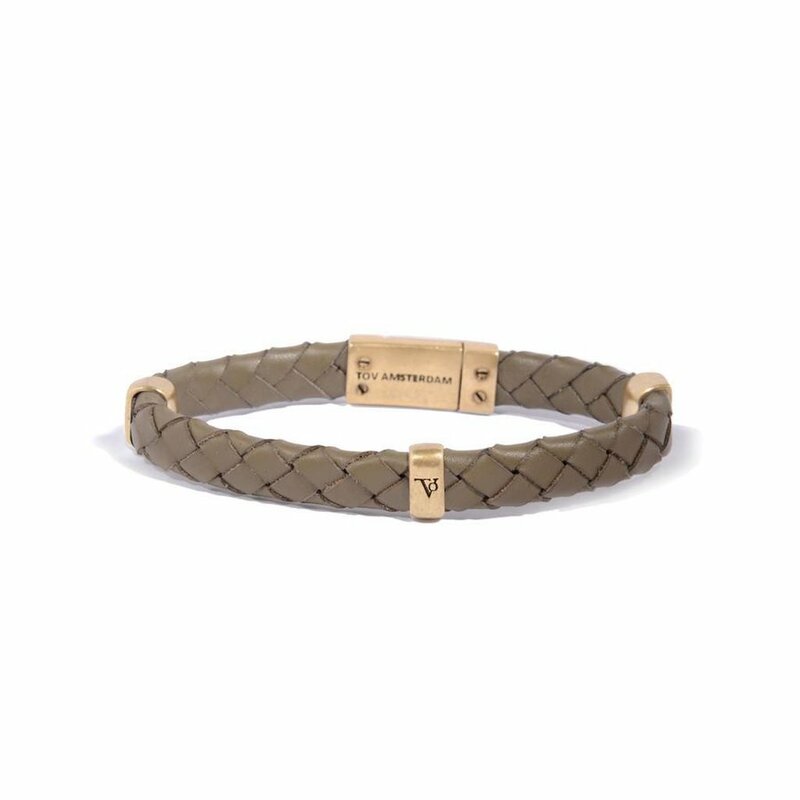 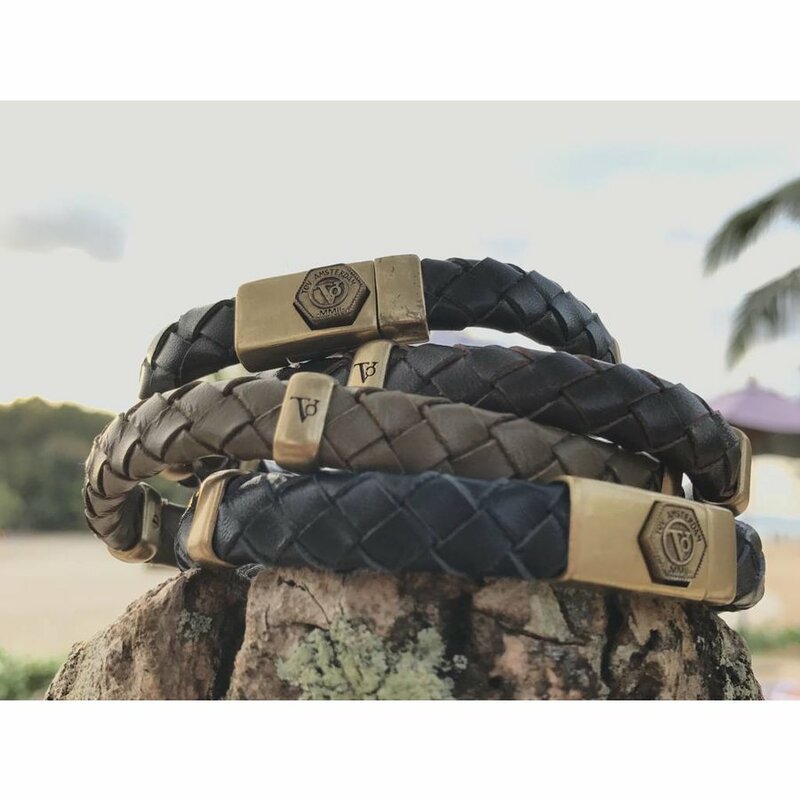 For the leather bracelets TOV Amsterdam uses full grain calf leather. 5 MICRON SILVER PLATING ON BRASS!